The main features of the power supply are the adjustable output voltage level and the adjustable current limiter. We need a control interface to set the parameters, and a display to monitor the real value of the controlled parameter. At the schematic diagram we can see the control interface consists of three key switches and one potentiometer. The key switches is read by digital input pin of the micro controller board, and the potentiometer is read by the analog input of the board. The potentiometer position can be used to adjust the voltage or current level, even to select multiple option of menu items, unlimited usage can be applied. The key switches has no debounching capacitors, so we have to provide the debounching mechanism in the software. This controller communicate to the switching regulator circuit using PWM signal (P.1 and P.2) to adjust the voltage and current setting, and read the analog voltages (A3 and A4) from current sensor and voltage sensor from switching regulator board to monitor the actual voltage and current. The potentiometer labelled as contrast is not part of the user interface since it should be set only one to adjust the readability of the LCD monitor. 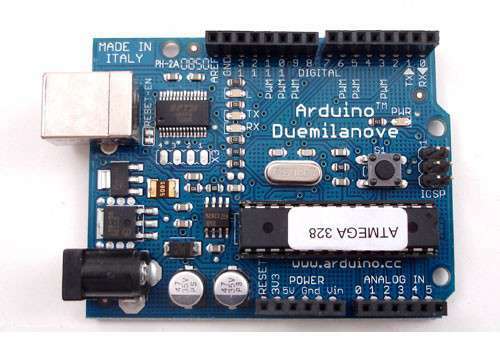 The source code for the arduino system is shown below, how the code works and how to tweak this firmware will be presented in the next update, coming soon!